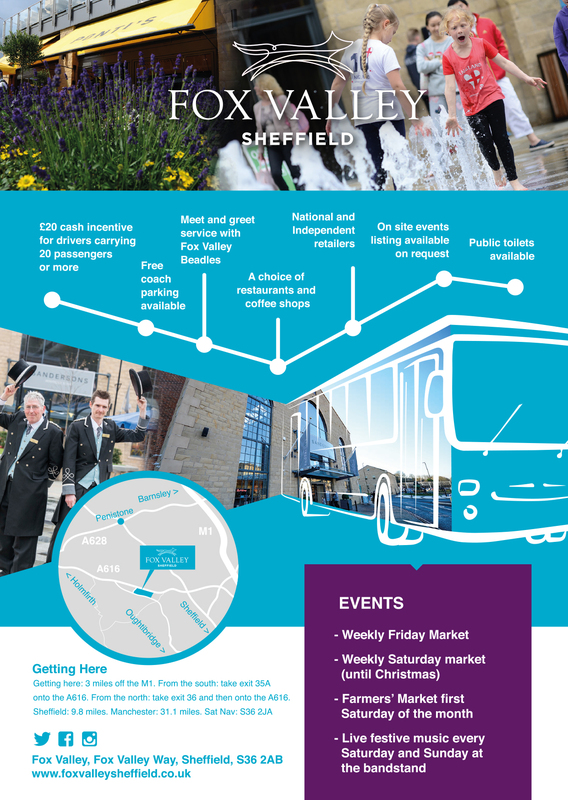 Visit North Sheffield’s premium retail destination, Fox Valley. With over 30 fantastic stores including Next, M&Co, Seasalt, Sports Direct and Sandersons Department Store, there really is something for everyone at Fox Valley. We also have some great coffee shops and restaurants to choose from including Pontis Italian Kitchen and a beautiful landscaped piazza area complete with fountains to relax in. Don't forget to look out for the Fox Valley Beadles – they are always happy to help! Also, keep a look out for the Fox Valley Express- our unique buggy service which runs every Saturday and Sunday 11am-4pm. Our lovely driver Dave will tell you all about the history of the site whilst transporting you around Fox Valley! Download the information for coach drivers about visiting Fox Valley.